Today an article about the Scilla Siberica, availabe in three colors! Scilla has three to five star-shaped blossoms growing from each stem and has an intense blue color. 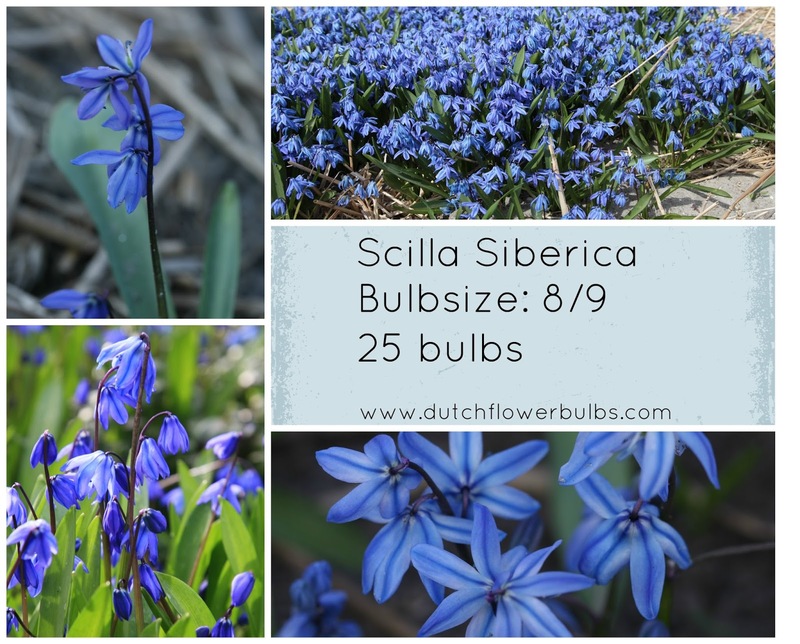 Scilla Siberica is known as being extremely hardy and is perfect for your backyard!